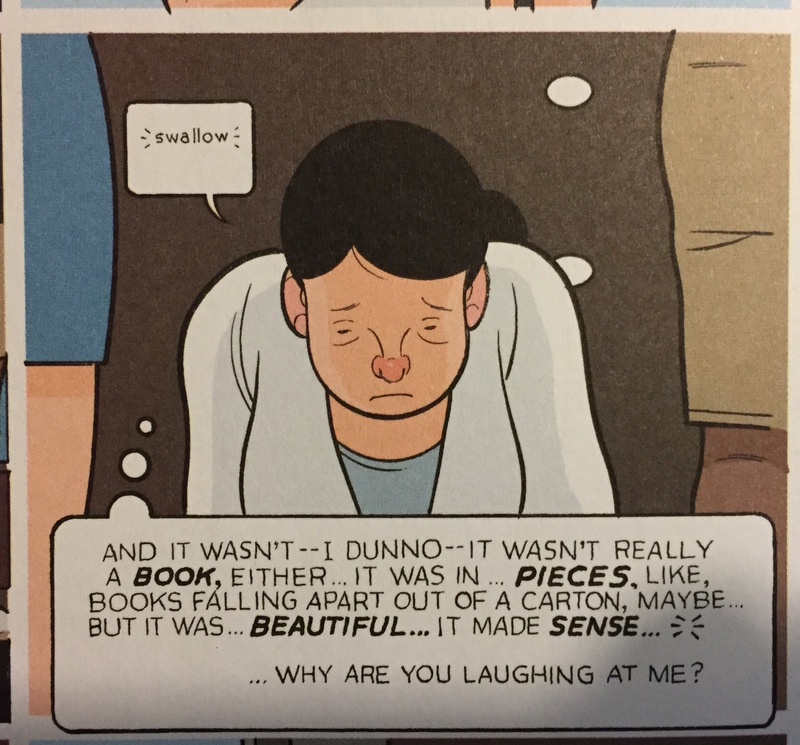 If you’re familiar with my blog, you already know that one of my favorite conferences is the Comics and Medicine Conference organized each year by the Graphic Medicine collective. Why do I love Comics and Medicine so much? 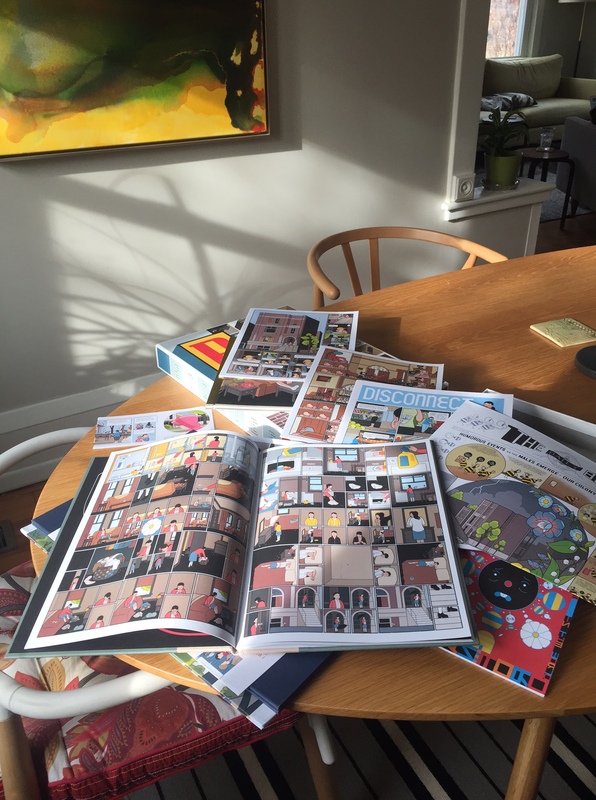 Because it brings together a diverse mix of people and projects: comics artists, health practitioners, and academics who teach and write about comics and graphic narratives. I write about the conjunction of illness, thought, and activism in different times and places, and I can say for sure that how I approach this conjunction has been influenced by my participation in the Comics and Medicine Conference. 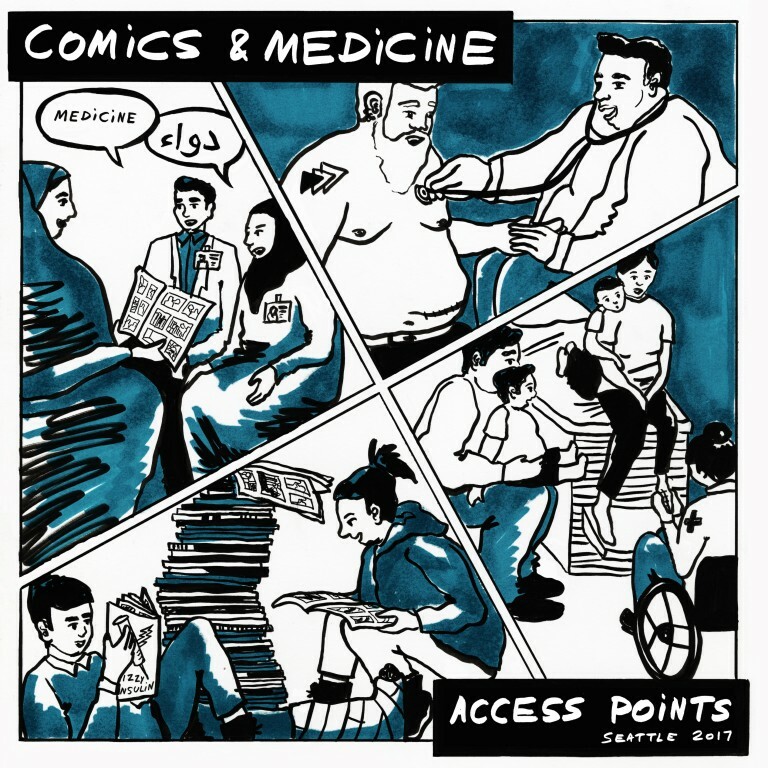 This year the Comics and Medicine Conference is in Seattle and the theme is Access Points. The conference artwork is by ET Russian, artist, performer, and creator of the amazing Ring of Fire zine. 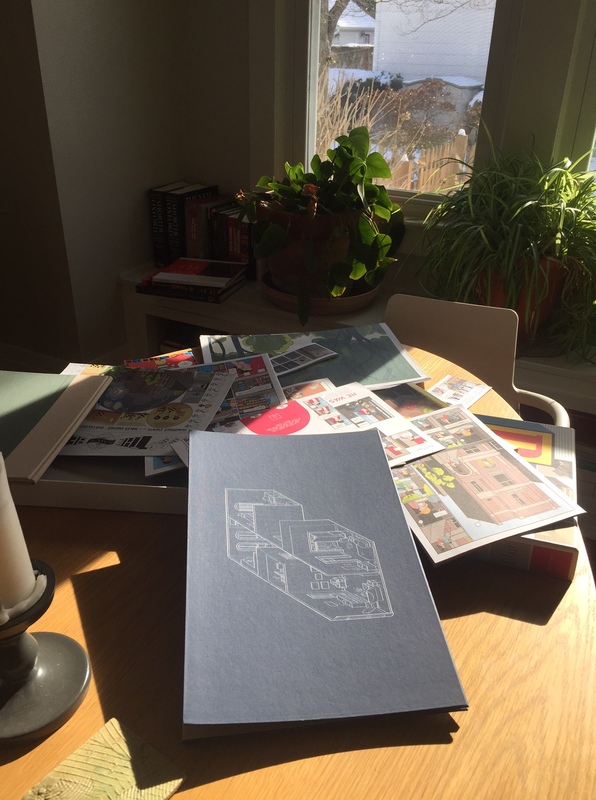 We can’t read Building Stories in a conventional way. 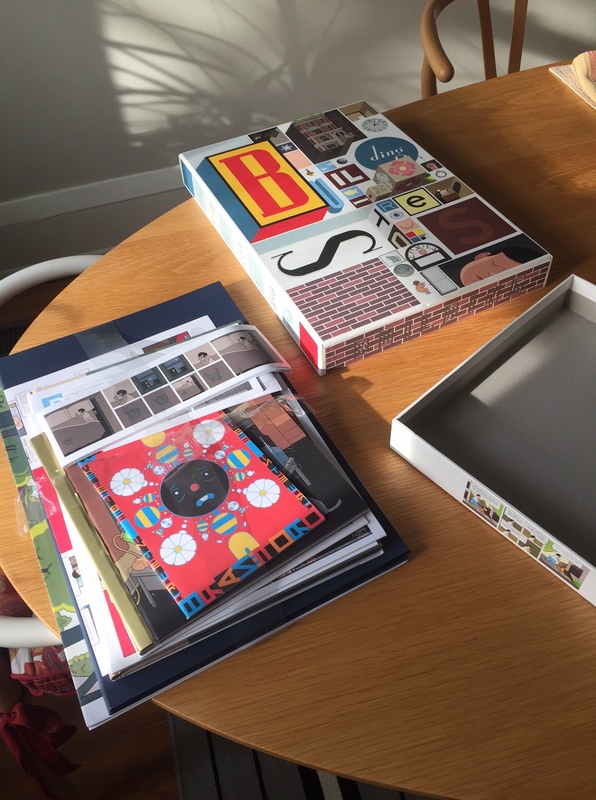 The stories come in a box that we explore by unpacking its contents. The box contains several cloth-bound and stapled books, differently shaped and sized pamphlets, posters, a large folded board that opens into quadriptych of the building and its occupants, etc. The phenomenology of “reading” building stories is very different from the phenomenology of reading a typical book or comic book. In the process of exploring the contents, our taken-for-granted reading practices are challenged; we are made to feel both disoriented and invigorated in the process of unpacking. Building Stories was one of the required texts in my Cultures of Dis/ability class this spring, and thus, I will also discuss the phenomenology of unpacking Building Stories in relation to teaching the text. In teaching Building Stories I had students explore the text at home and in small groups in the classroom in relation to a larger discussion of how dis/ability is enacted in different spaces. In reading Building Stories in the classroom, we asked questions about access in terms of both the spaces that facilitate (or not) inclusion and participation and in terms of the stories we build in and about those spaces.